Amazon India today announced that it has added seven new Fulfillment Centres (FCs) across India to meet the growing needs of its fast-growing seller base. The new New Fulfillment Centres have been opened in Ahmedabad, Delhi, Kolkata, Nagpur, Gurgaon, Pune and Mumbai. With the launch of these new FCs, Amazon now has a total of 20 FCs operational across 10 states in India covering a total area of over 1.6 mln sq ft with a storage capacity of nearly four million cubic feet. More number of fulfillment centers means better and faster service for Amazon India customers. The new FCs will also enable thousands of small and medium businesses in these cities to gain access to and service customers across the country at significantly low operating costs. If you are not aware, a Fulfillment Centre is a warehouse, where online retailers who use ‘Fulfillment by Amazon (FBA)’ services, stock their inventory. 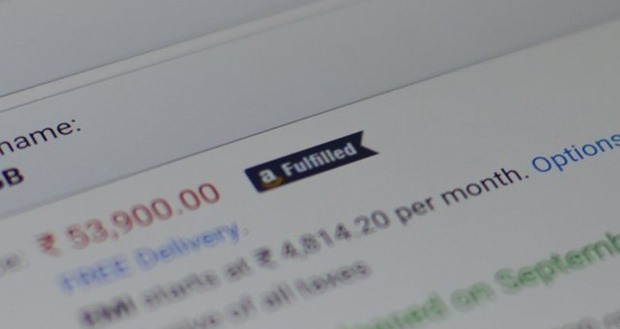 When using FBA, sellers across India send their products to Amazon’s fulfilment centres and once an order is placed, Amazon picks, packs and ships the order to the customer, provides customer service and manages returns on behalf of the sellers. Orders fulfilled by Amazon are eligible for Cash on Delivery, Guaranteed Next-Day, Same Day, Release Day and Sunday delivery. Customers will now see far more products that will have “Amazon FulFilled” batch while shopping on Amazon site!. With launch of 7 new fulfillment centers, Amazon India now has FCs in states of Gujarat, Haryana, Karnataka, Maharashtra, Delhi, Punjab, Rajasthan, Tamil Nadu, Telangana and West Bengal. Amazon claims that they now have over one million products for immediate shipping through the network of Amazon’s FCs in India. "Amazon Adds 7 New Fulfillment Centres Across India Taking Total Tally To 20", 5 out of 5 based on 2 ratings.